This show was broadcast on June 10, 2014. Monday, Wednesday, Friday and Saturday at 8am Pacific * 11am Eastern * 15:00 GMT Subscribers to TruthJihad.com get early access to all show archives here. Everyone else gets access to the show archives the day of the broadcast here. Paul R. Pillar, in his 28 years at the Central Intelligence Agency, rose to be one of the agency’s top analysts. He is now a visiting professor at Georgetown University for security studies. At the CIA he served in a variety of analytical and managerial positions, including as chief of analytic units at the CIA covering portions of the Near East, the Persian Gulf, and South Asia. 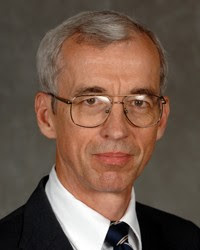 Professor Pillar also served in the National Intelligence Council as one of the original members of its Analytic Group. He has been Executive Assistant to CIA’s Deputy Director for Intelligence and Executive Assistant to Director of Central Intelligence William Webster. He has also headed the Assessments and Information Group of the DCI Counterterrorist Center, and from 1997 to 1999 was deputy chief of the center. This entry was posted on Saturday, June 7th, 2014 at 7:26 pm	and is filed under 9/11, Anti-War, Censorship-Propaganda, False Flag/Fake Terror, Freedom, Justice, Kevin Barrett, News, Protest, War Crimes. You can follow any responses to this entry through the RSS 2.0 feed.